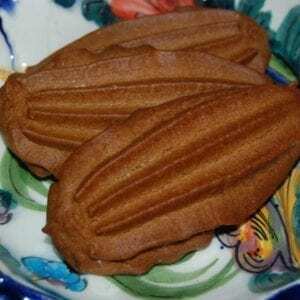 Kourambiédes with almonds are perfect for any occasion, holiday or celebration. 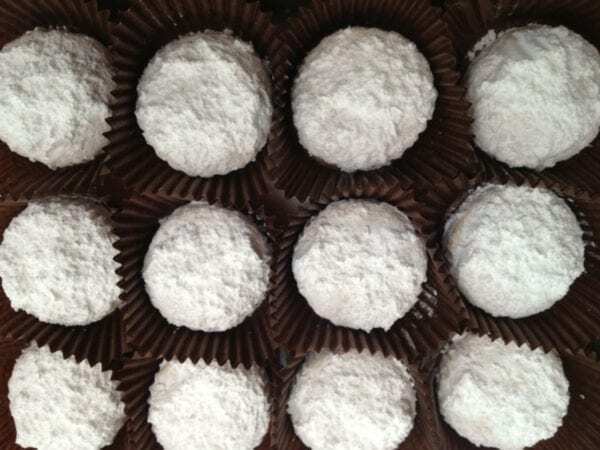 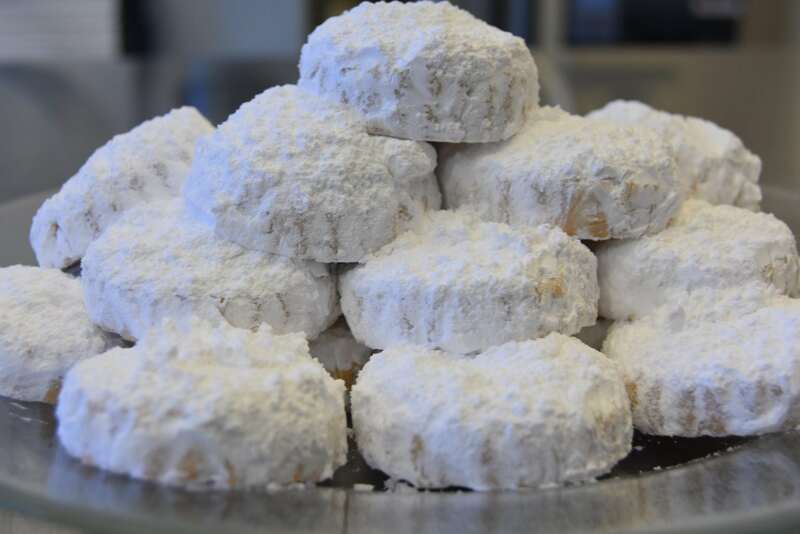 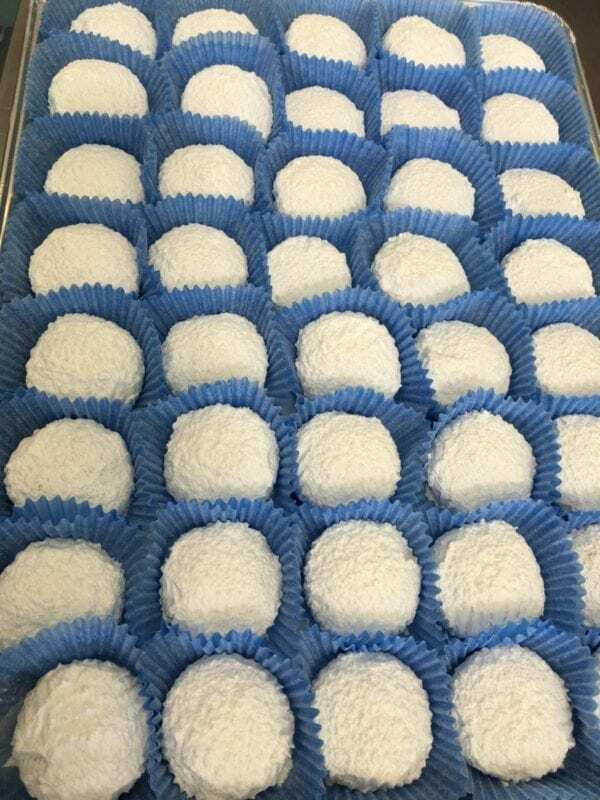 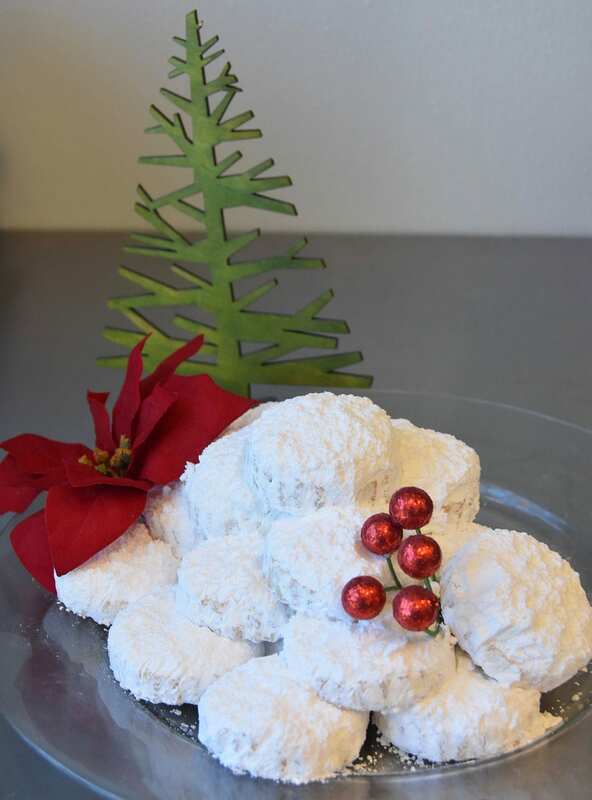 Kourambiédes are delicate butter cookies, gently covered with puffs of powdered sugar, that melt in your mouth. 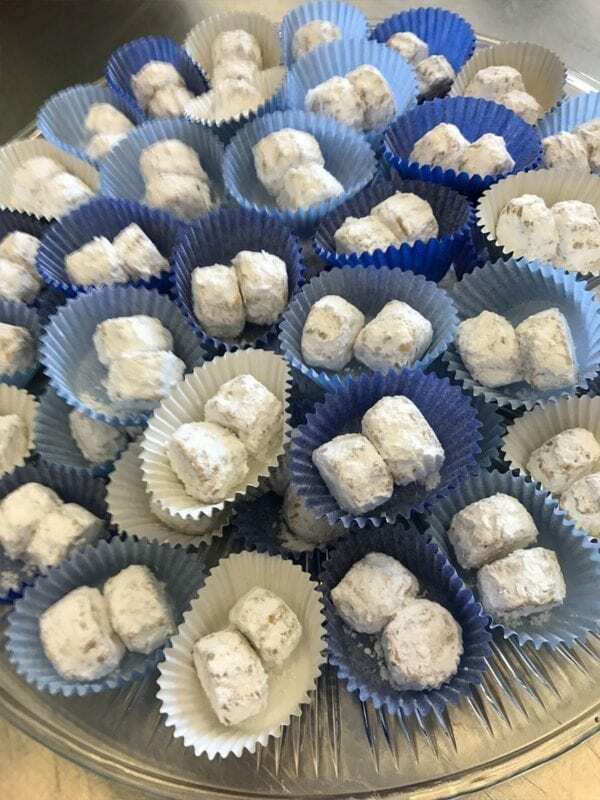 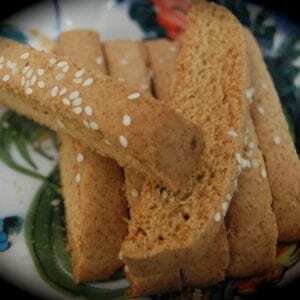 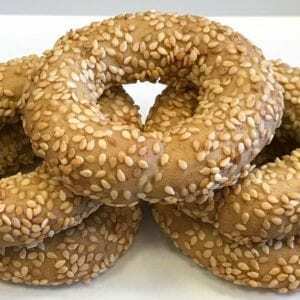 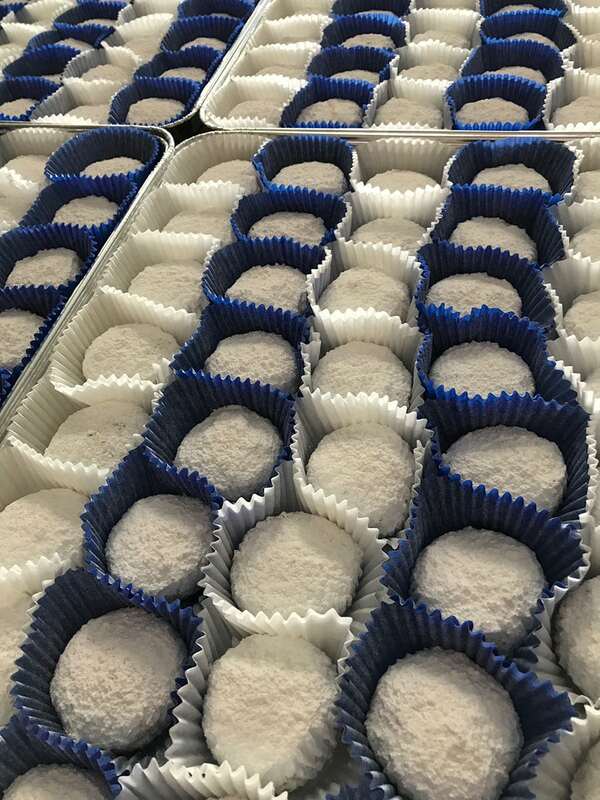 Traditionally served at weddings, baptisms and nameday celebrations, these Greek holiday cookies are made with or without toasted almonds inside. 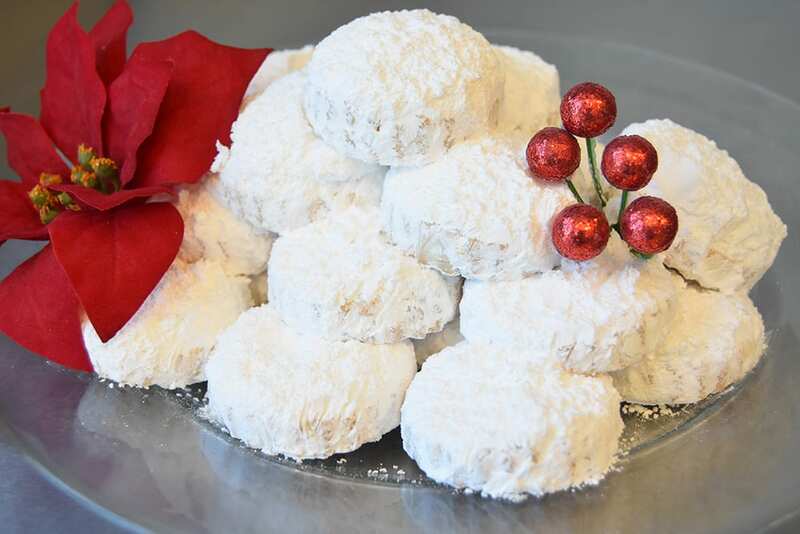 Perfect for any occasion, holiday or celebration. 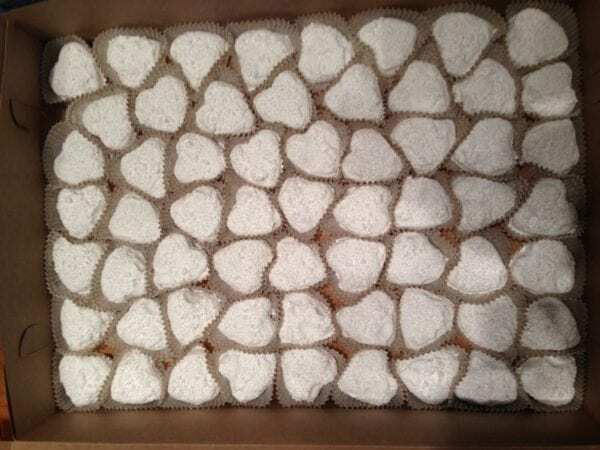 Heart shaped or small bites by special request. 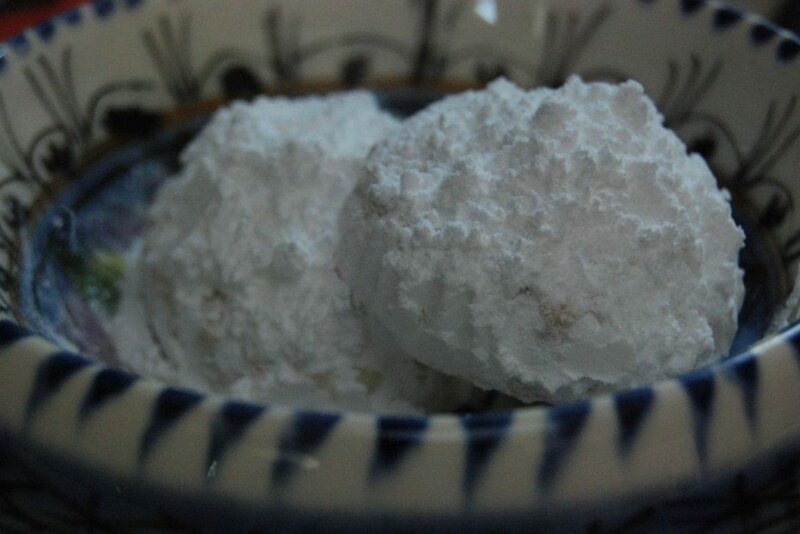 Ingredients: cake flour (wheat), unsalted butter (milk), powdered sugar, almonds, eggs, brandy, vanilla, baking powder. 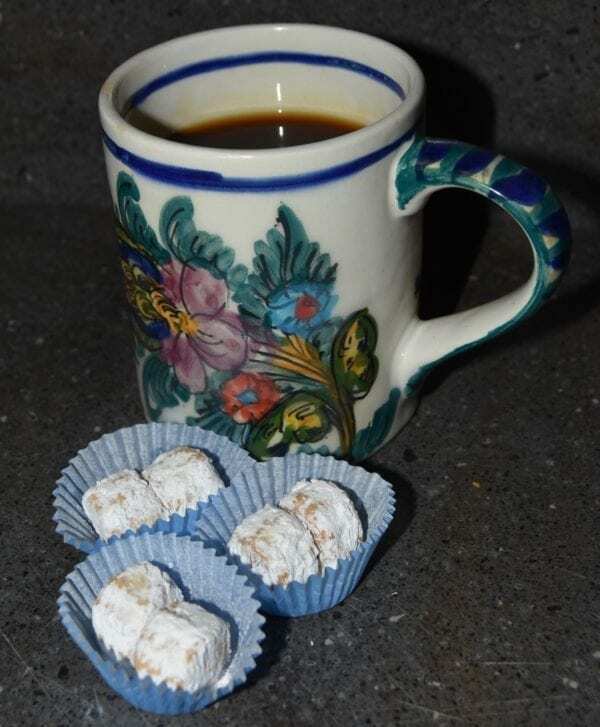 Allergy note: Contains wheat, almonds, milk, egg.